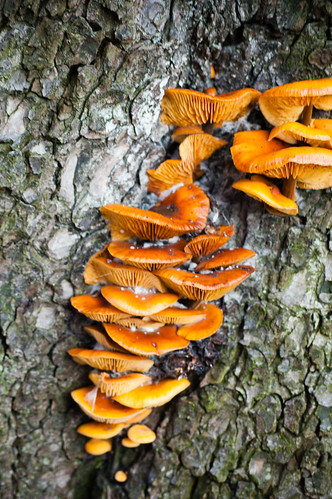 The scars of the old leaves can also be seen – the white horseshoe shapes. 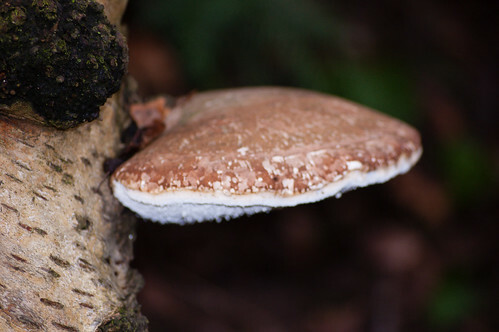 Once the frosts start, most of the larger fungi disappear. 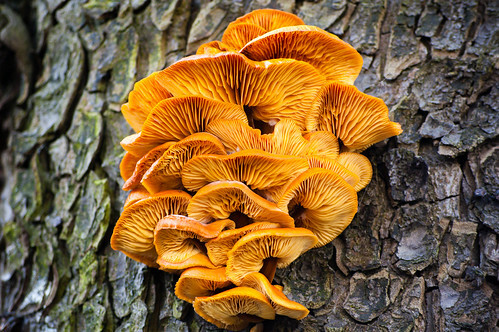 The main exception are brackets which grow directly from the trunks of trees – here a fallen birch. 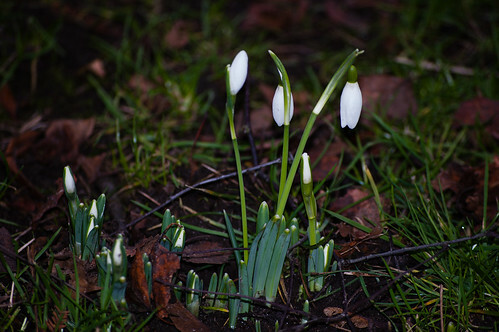 The days are visibly getting longer, and now the snowdrops are beginning to bloom. 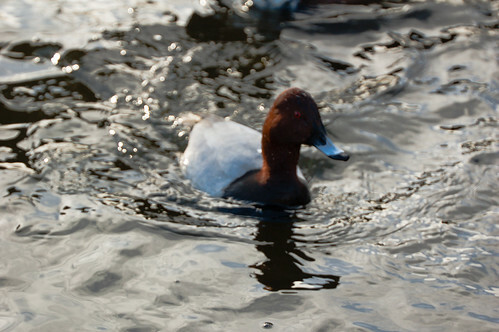 Yet another duck species to take advantage of the sheltered environment of West Park. 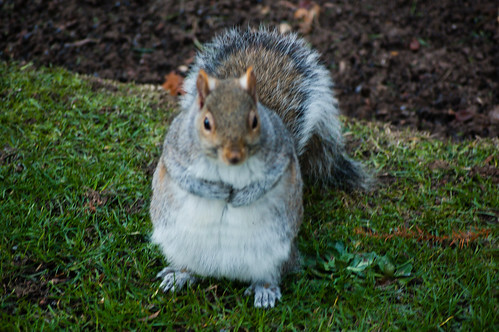 Some of the squirrels in West Park seem to be getting too well fed. Picture taken before the big freeze. Perhaps the rolls of fat helped this individual survive the extreme conditions? 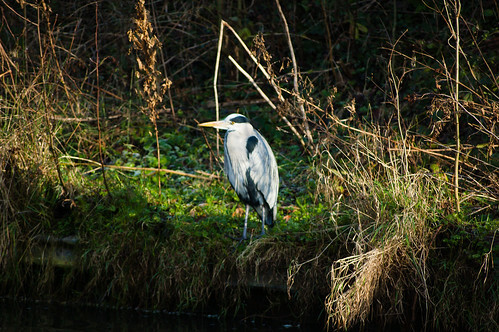 On New Year’s Day three herons were showing themselves within a couple of hundred yards along the Staffs and Worcs canal at Compton. 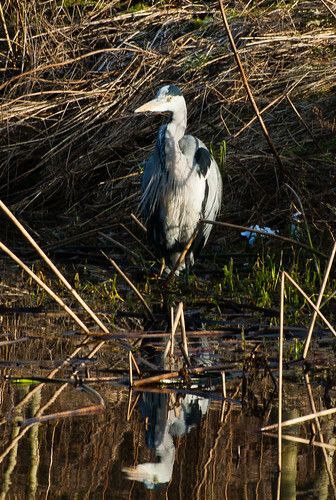 This one was intently fishing, then pausing to give its feathers a lot of attention. 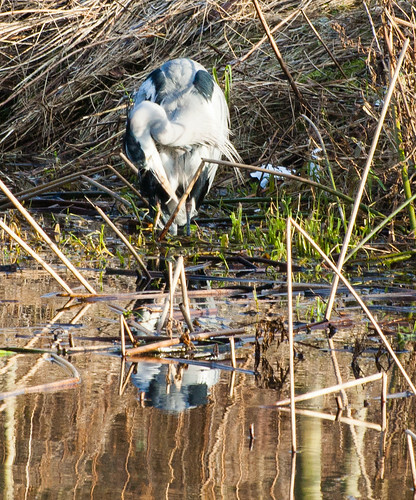 On the opposite side of Compton bridge, this one was more focussed on getting something to eat. 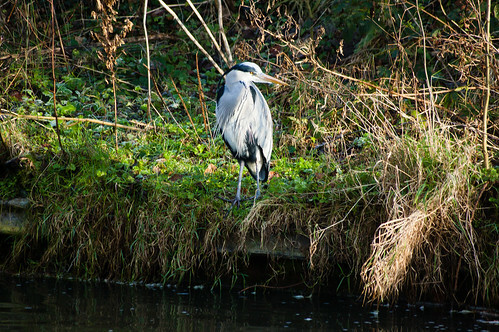 It appears to be a younger bird, and was more wary as people passed along the other bank. 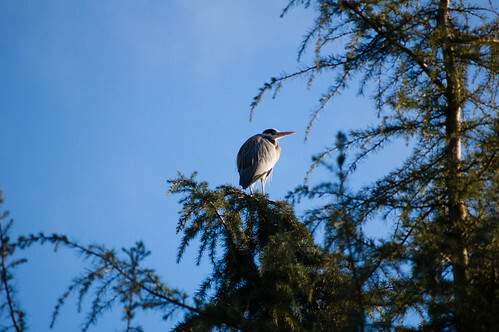 And finally a couple of views of the third bird, keeping a lookout in the trees above Compton lock. Showing a surprising amount of growth on New Year’s Day. 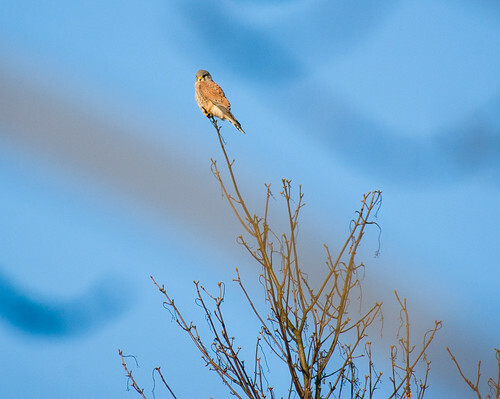 This kestrel using a high twig as a lookout post to watch for prey. 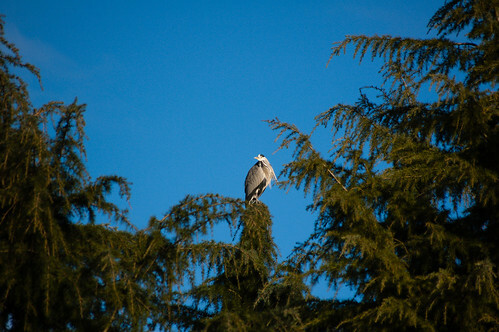 Shortly after this shot was taken, the bird saw off an encroaching buzzard. 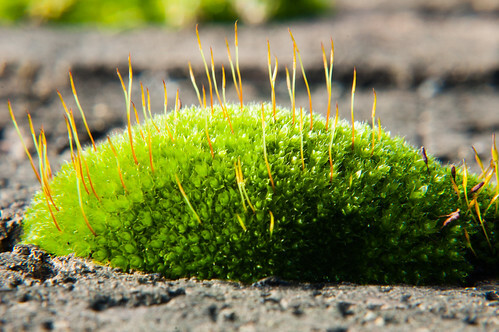 Mosses grow on all sorts of apparently difficult environments. 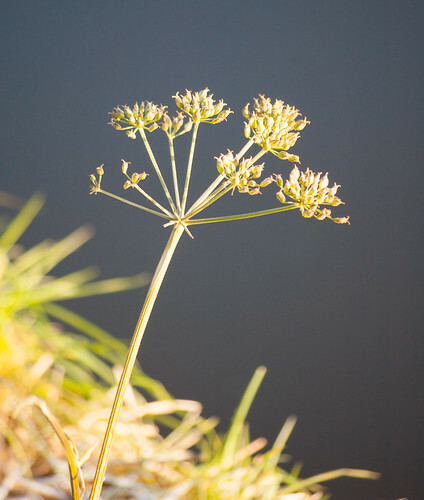 The ones pictured here were growing on the tops of walls beside a busy main road. 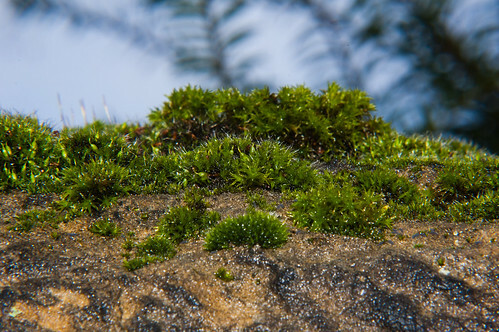 The stalks on the moss pictured above are supporting the spore pods. 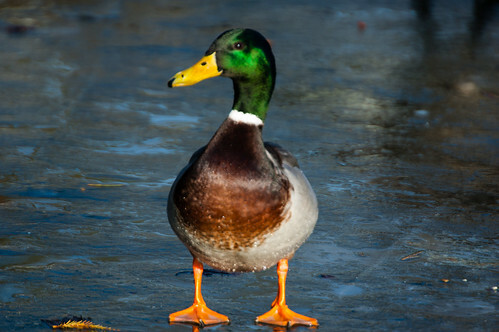 This male bird coping with the ice on the West Park pool at the weekend, showing the rich colours of his plumange. 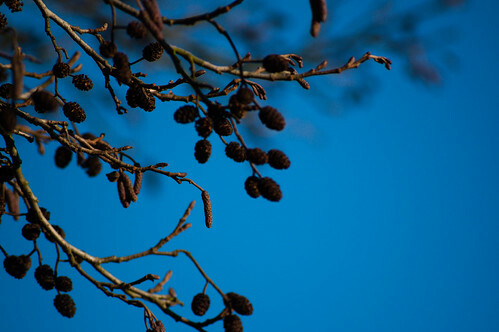 Last year’s fruit and this year’s catkins hanging from the same branches back on New Year’s Day.